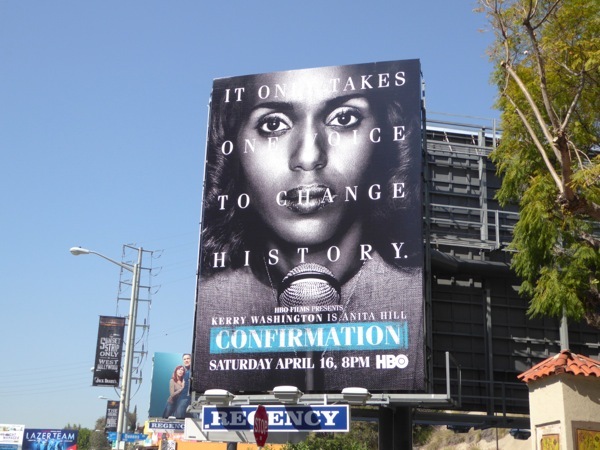 This April Kerry Washington is trading the drama of her hit Shondaland show for a scandal of another kind from history, in HBO Films Confirmation. 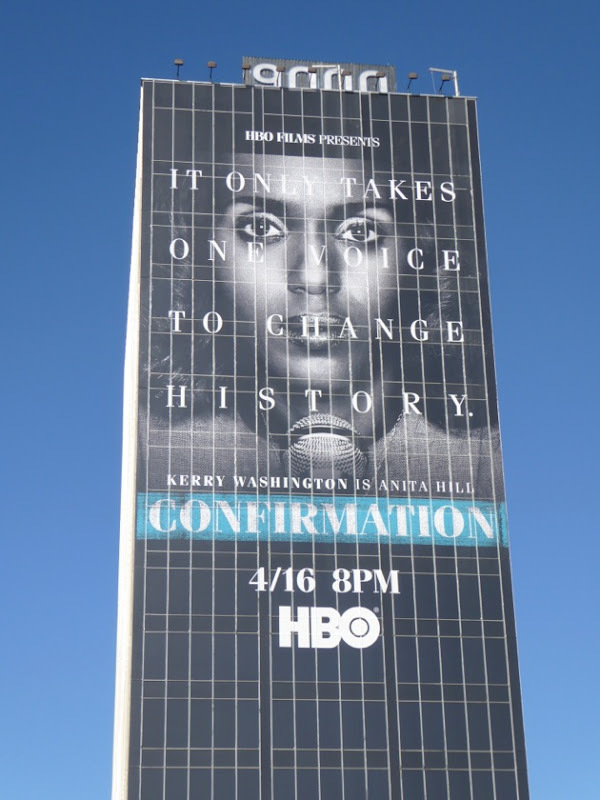 In the biopic the actress plays 'Anita Hill', a law professor at the University of Oklahoma who in 1991 accused her former employer and U.S. Supreme Court Justice nominee, 'Clarence Thomas', of sexual harassment. 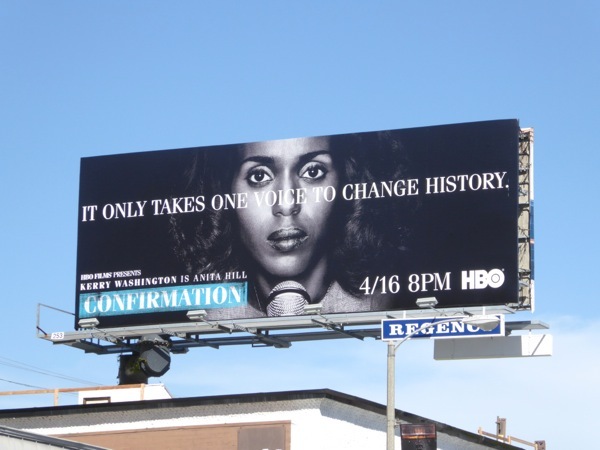 This telefilm comes as an interesting time, not only is it the 25th anniversary of Senate Judiciary Committee hearing chaired by current Vice President, Joe Biden, but the political and judicial landscape is also in upheaval following the death of Supreme Court Justice Antonin Scalia and the Republican Party's refusal to meet with President Obama's replacement nominee. 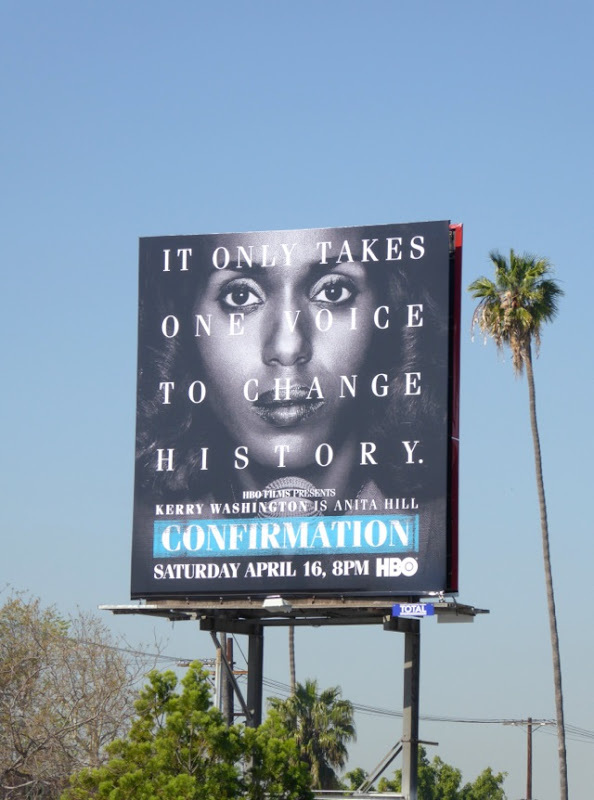 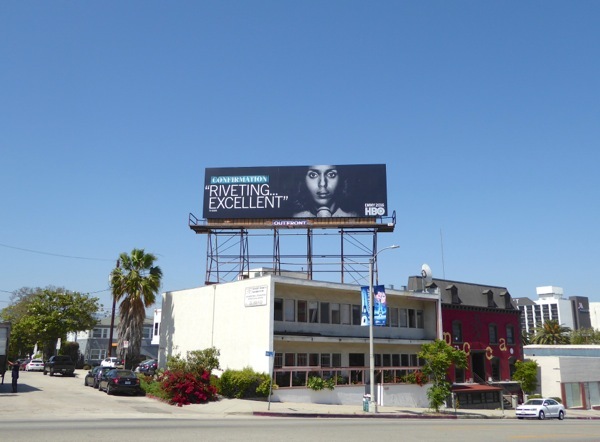 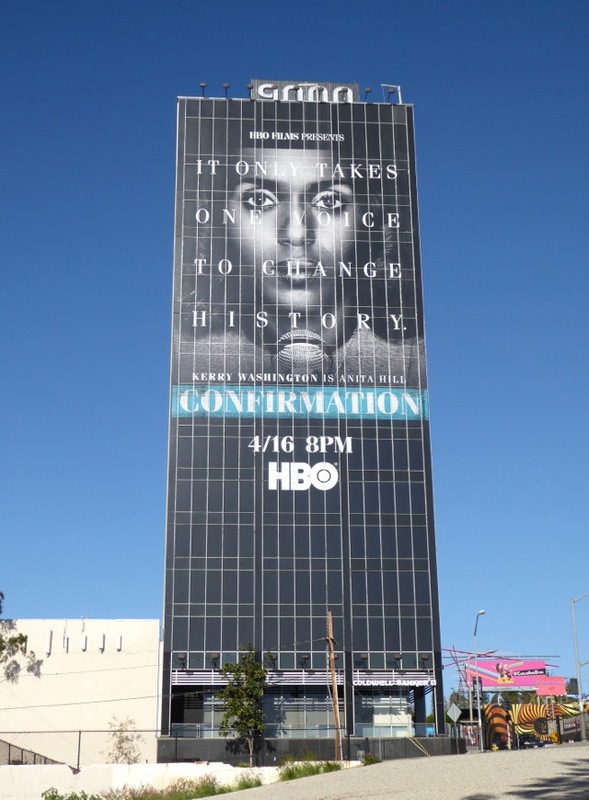 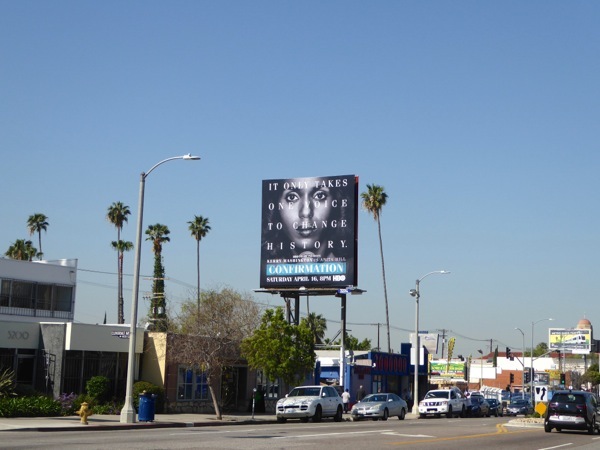 These striking Confirmation billboards featuring Kerry Washington were snapped around the streets of L.A. from March 17 to March 22, 2016, including multiple locations along Sunset Boulevard and along Pico Boulevard. 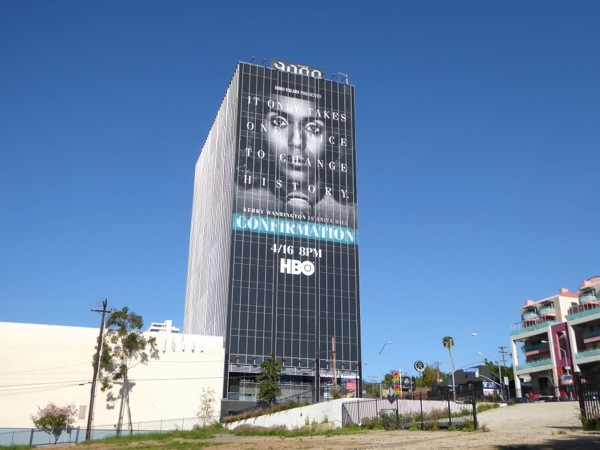 The arresting giant-sized version was photographed towering over westbound traffic along West Hollywood's busy Sunset Strip on March 22, 2016. For more compelling HBO Films, make sure you also take a look at these Behind the Candelabra billboards about Liberace, these Phil Spector movie billboards and this Hemingway & Gellhorn movie billboards. 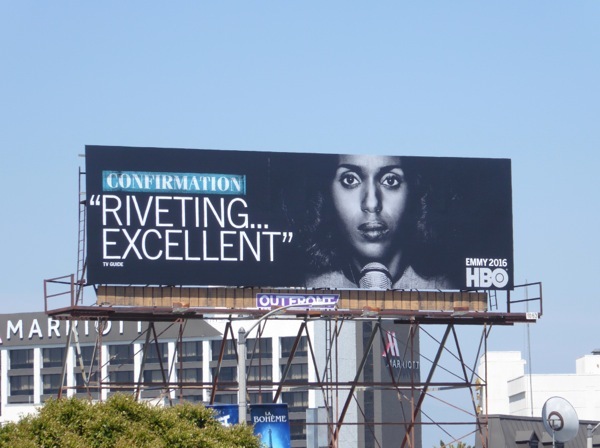 Meanwhile if you're a fan of Kerry Washington, be sure to also check her out in these TV billboards for Scandal. 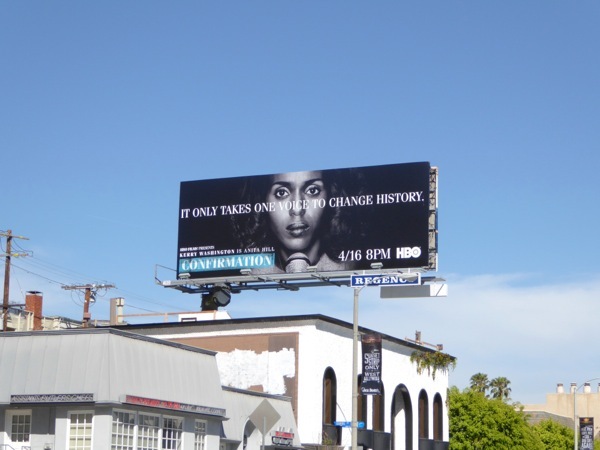 'It only takes one voice to change history'. 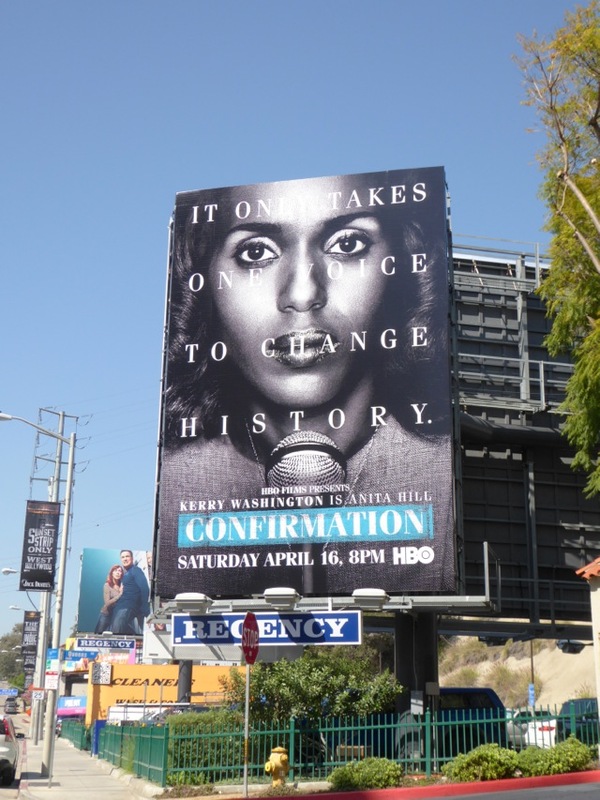 Truer words have never been spoken, especially in these crazy times we find our ourselves living in. 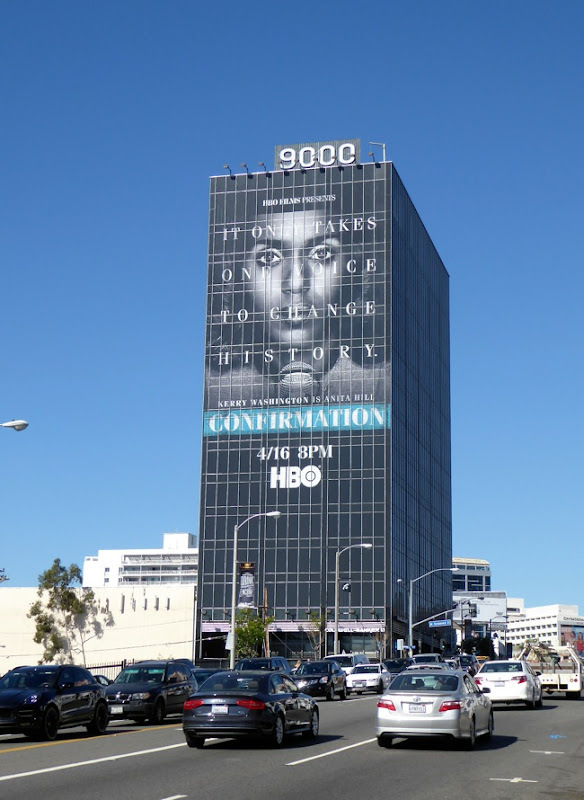 UPDATED: Here's also the Emmy consideration billboard design for the 'riveting and excellent' HBO film spotted along Pico Boulevard on June 2, 2016.